Hard to believe I've done 51 of these posters. 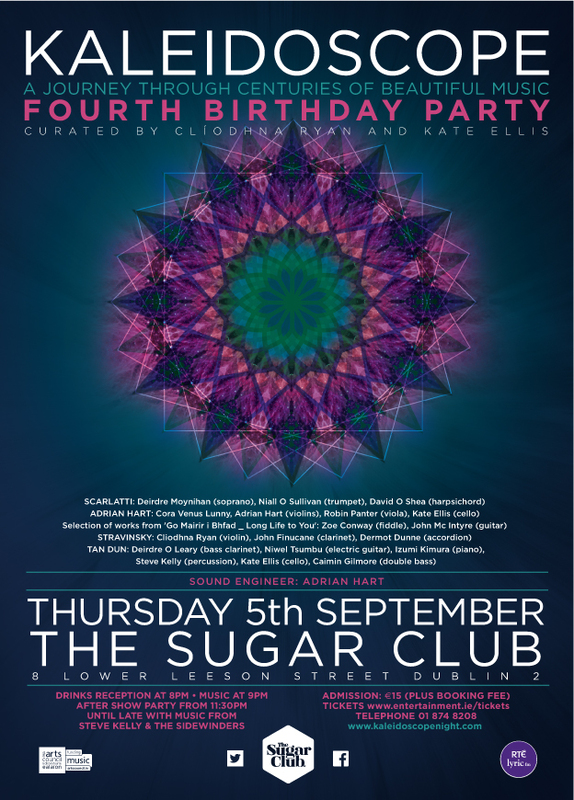 The Kaleidoscope night celebrates its 4th birthday in September with a special gig in The Sugar Club. Clíodhna, Kate and crew seem happy to continue with this theme and why not. The trick is to make it different every month while keeping it the same. You might notice that there is a load of squares on this one. Fourth birthday, four sides..... oh well.